Our eCall experts just returned from Norway where they installed the necessary eCall technology in Moss which is just south of Oslo. Thus the rescue coordination centre of Moss is now able to receive eCalls from vehicles involved in an accident. 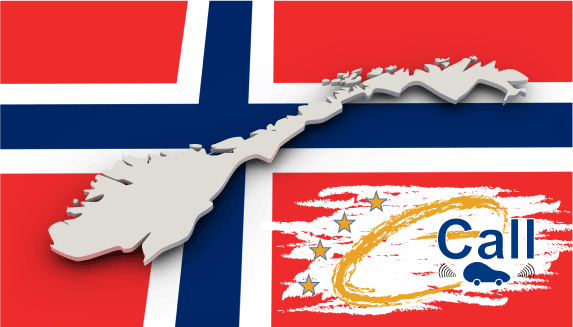 Norway is the 14th European country which employs our eCall technology. This means that half of all European countries already trust our technology and expertise. What better reason do we need to be proud? However, we do not rest on our success. The development of the next generation eCall technology is waiting. Therefore our developers currently explore the advantages of voice-over IP technology which will make the eCall transfer even faster. Furthermore, other vehicle categories like motorcycles and trucks will be able to use eCall in the future. So the first test systems for the automotive industry will be available from the third quarter of 2019.